Ah man, I can’t believe it took me so long to get to this! I enjoyed every damn minute of it immensely, and thought it was one heck of a film. There is just so much to like here, and not much to fault. Seriously not even remotely what I thought it was going to be about, and that was not a bad thing. I thought it was going to be about some grouch who found love and acceptance and Christmas spirit by the end. Boy, oh boy, was I wrong, and I am totally down with that. James Stewart really was such a handsome man in his youth, and he played the ever so charming and incredibly well-liked George perfectly. From the moment the film opens with a young George to when you see him as a man, he is just a character you can’t not root for. He is sweet, dutiful, loyal, a dreamer, and a all-round nice dude. Pity that everything he ever wanted to do in life was put on hold, which he put aside to further his brother and help his town. Except that, even while doing all that, he had a fine and full life anyway. Only he didn’t always see it, and it is really interesting to see this young man constantly readjusting his expectations of life. I thoroughly enjoyed watching James Stewart and Donna Reed together, I thought they had wonderful chemistry together, and what a beautiful couple! Seriously, Reed was gorgeous! The movie touts a lot of humour and good vibes, and I was seriously impressed how modern the movie felt, like it was way ahead of its time. It is old, but movies of this time, even before, and plenty after, felt so much more stiff and formal. This one was feel good, had a lot of elements we recognise in modern movies, and the pacing was excellent. The dialogue was on point, and the characters were people we could relate to. I cannot believe it took me so long to see it! It’s A Wonderful Life is put together wonderfully, without anything coming across as tacky or crude or out of place. It is shot well, it is engaging, the performances were all solid, and the movie draws you in from the off, and ultimately feels like a rewarding experience. It’s a really pleasant film, and as you can see, left me feeling happy. I would highly recommend checking it out – it has some drama, some humour, a great romance, and a sweet story. This entry was posted in Movies and tagged Donna Reid, excellent, James Stewart, movie reviews, movies, well worth a watch. Bookmark the permalink. ← Merry Christmas and THANK YOU!! I love this film! I watch it every Christmas but this Christmas I was so busy, I needed to choose between this and Love Actually, I chose the latter. But it’s ok to watch this after Christmas too, isn’t it? I’m happy that you liked it! I’d say this is a movie that is good to watch whenever! I am so happy I have finally seen it, so great! I can’t believe I’ve not seen this either. It sounds really great, and old-fashioned but in the best sounding way. And I absolutely think James Stewart is one of the coolest dudes to ever live. That guy rocks. Can’t wait to check this out and soon. It is indeed! Oh I highly recommend giving this a shot, and soon! I didn’t think I would like it as much as I did, but I was surprised. Great film, and Stewart was fantastic! Its soooo good, right. We watch it every year. Stewart is simply superb and Donna Reed an absolute beauty. It really is! I can see myself going back to this one! It really is the sweetest! Thanks! Oh that is so cool! If my cinema ever did something as cool as rerun this, I would totally go see it! This should be 10 out of 10! Ha ha! What a wonderful film, pretty much perfect and it gets me every time. Lovely review Zoe. Thanks Mark! What a great movie, I had an absolute blast, and I can see myself going back to it time and time again! Wow, you’ve never seen it up til now Zoe? Glad you enjoyed it, have you seen the original Miracle on 34th Street (not the 1990’s remake)? 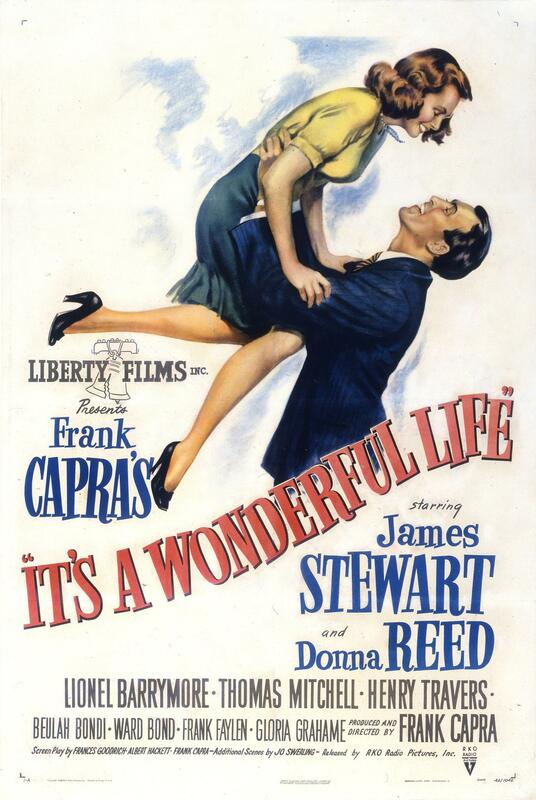 I actually thank that it’s more the ultimate Christmas classic than It’s a Wonderful Life! This sounds like a wonderful film! Great work bestie! Friend, you must get it, watch it with the whole damn family even. It is awesome! I truly love this movie and like you was late to it. I think it’d be a real sweet tradition! I love this movie. I have such a crush on young James Stewart because if it.